Ah, joy. You are giving me a kick in the pants. OR, at least a cold virus that is reminding me how wonderful life is when you feel good. One bottle of NyQuil down, three days of bedhead and garbage cans full of tissues, I might be reemerging. Coming out of this fog slowly and remembering how good it feels to feel good. It’s like a whole new season giving me a warm heart, bright mind, and new eyes. And, now, I sleep some more. Tomorrow is another day. Happy Friday. Is there a better day of the week? I continue to listen to my new favorite book: Joy on Demand The Art of Discovering the Happiness Within. As I listened tonight I thought more and more about luck. Luck has always found me when I am my happiest, so I wasn’t surprised to hear that is one of the fundamental points of this book. In fact, I remember being a young girl and feeling the power of “happy joy luck” every year on my birthday. It came in the form of a cake via the radio station. Every year birthday names were drawn and a cake was giving away. And every year they drew my name! It felt like pure luck. Maybe it was just pure joy? 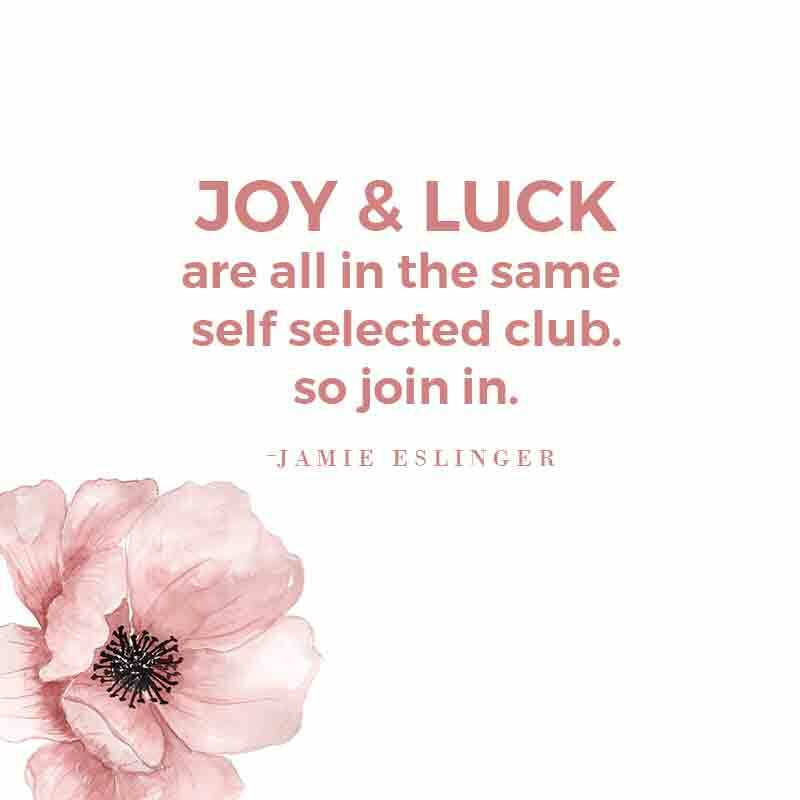 Maybe choosing joy is also choosing luck? As I listened I thought about the times in my life that were good and bad – and how joy played a part in it. 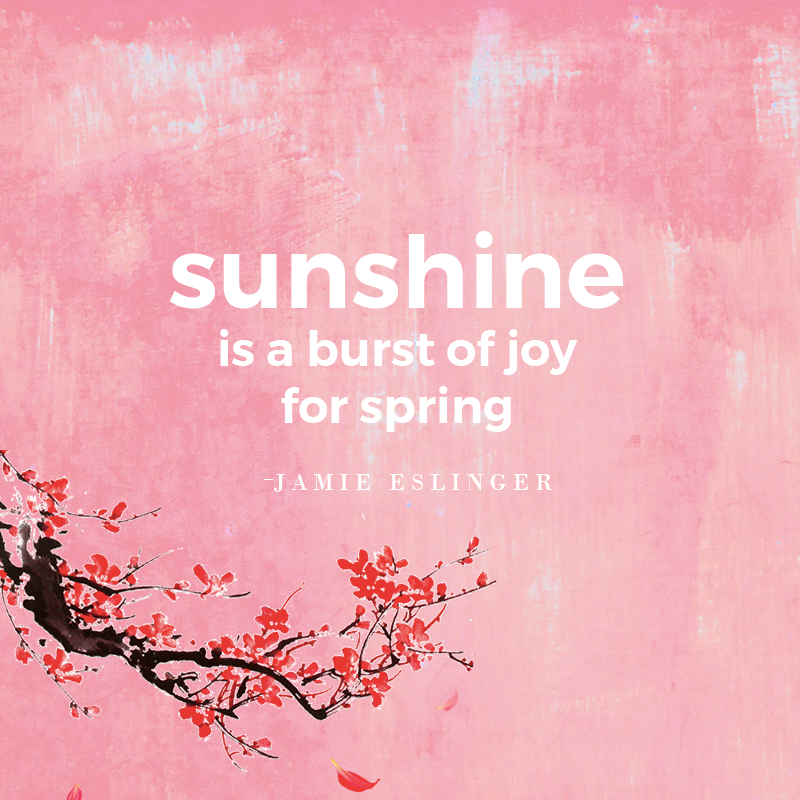 Joy can always be present, even in the worst of circumstances. 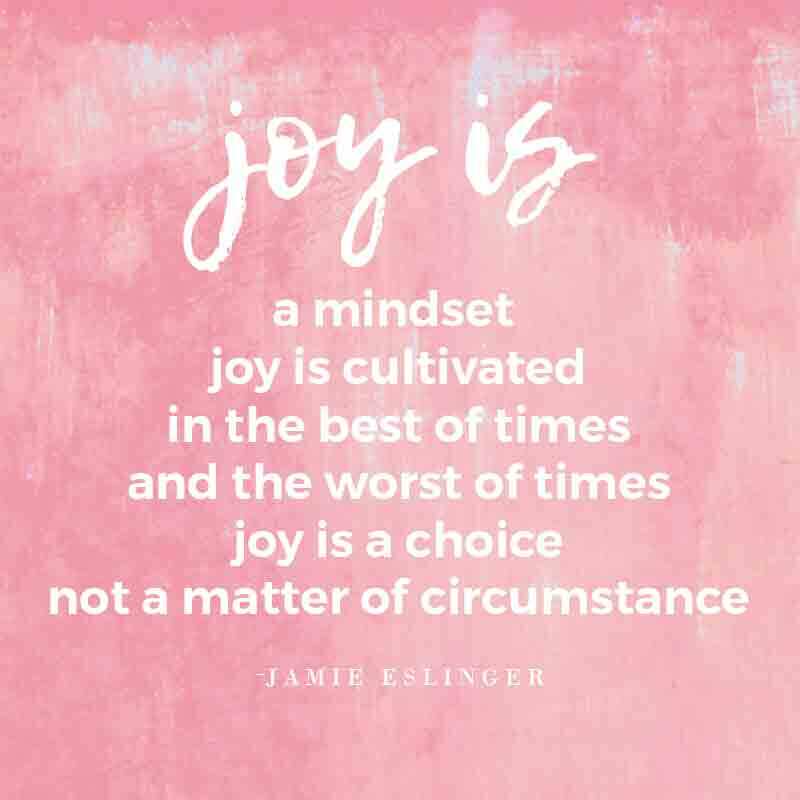 Because joy is a mindset and a choice. 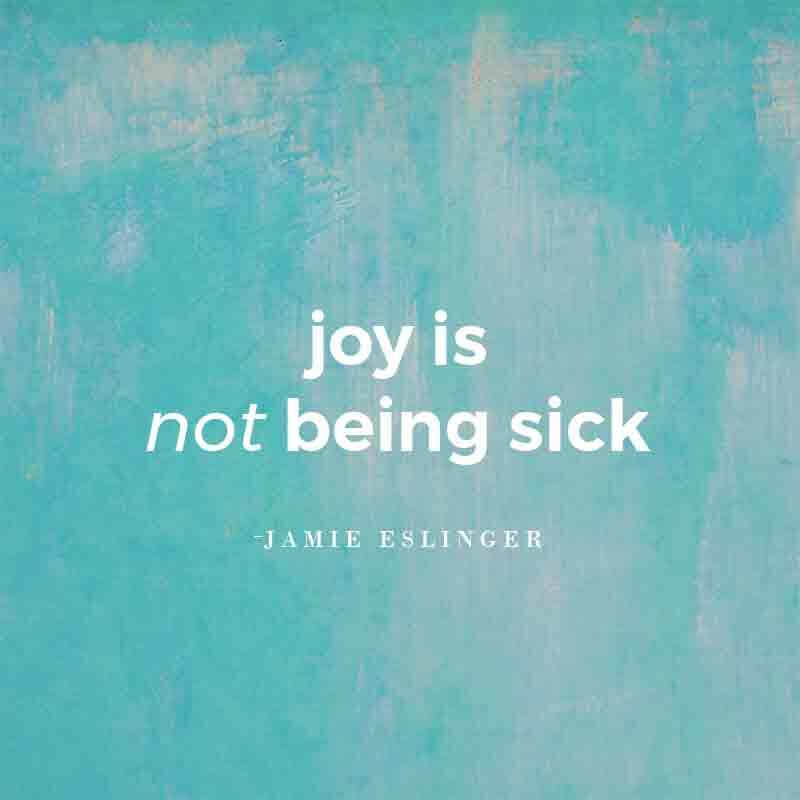 Joy is not a matter of circumstance. It is a choice in the matter. 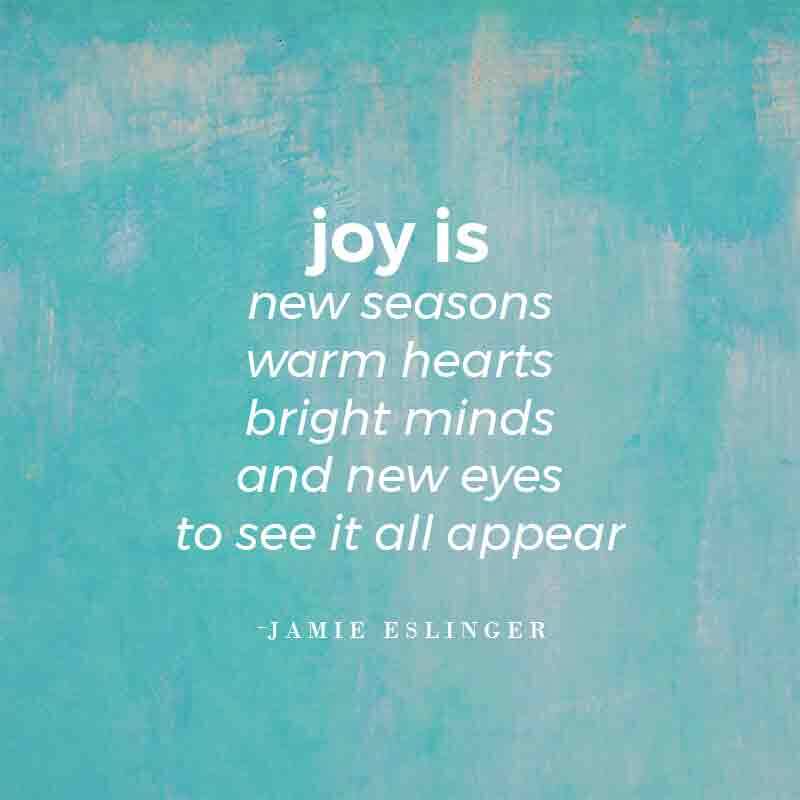 Ah, joy… you keep sending me these good reminders and lessons. And I want you to know, I am listening. This post is coming from 30,000 feet up in the sky. I’m sitting on a plane. With free wifi. And on days like these, the last of vacation, it is the little things that bring me great joy. Even free wifi (even if it is spotty). 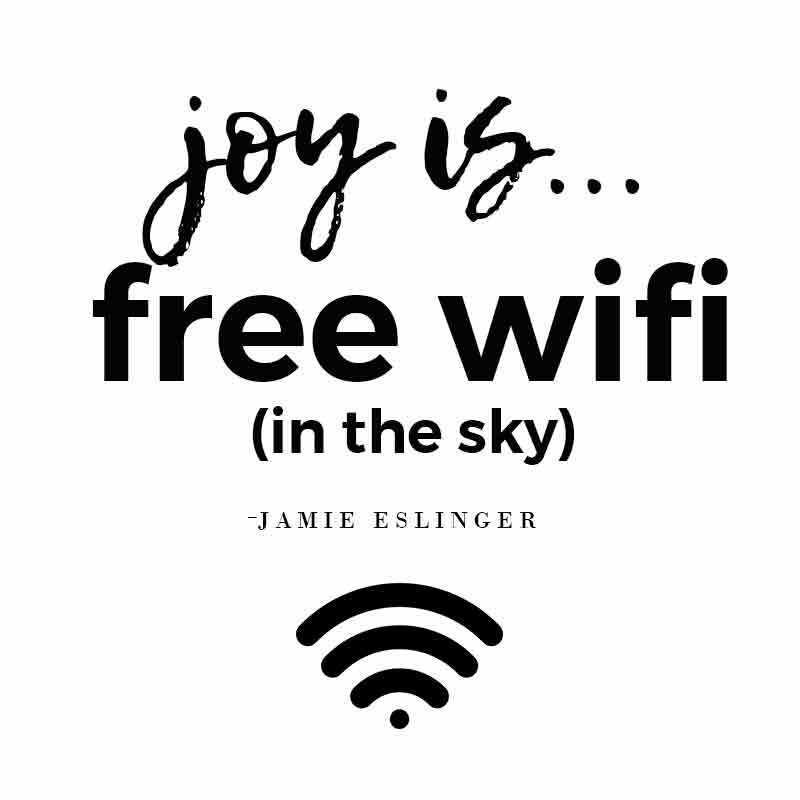 Joy is Wifi – so high in the sky. I was around many children this week during my travels and there is one thing that sticks out in my mind. They are loud with their joy. 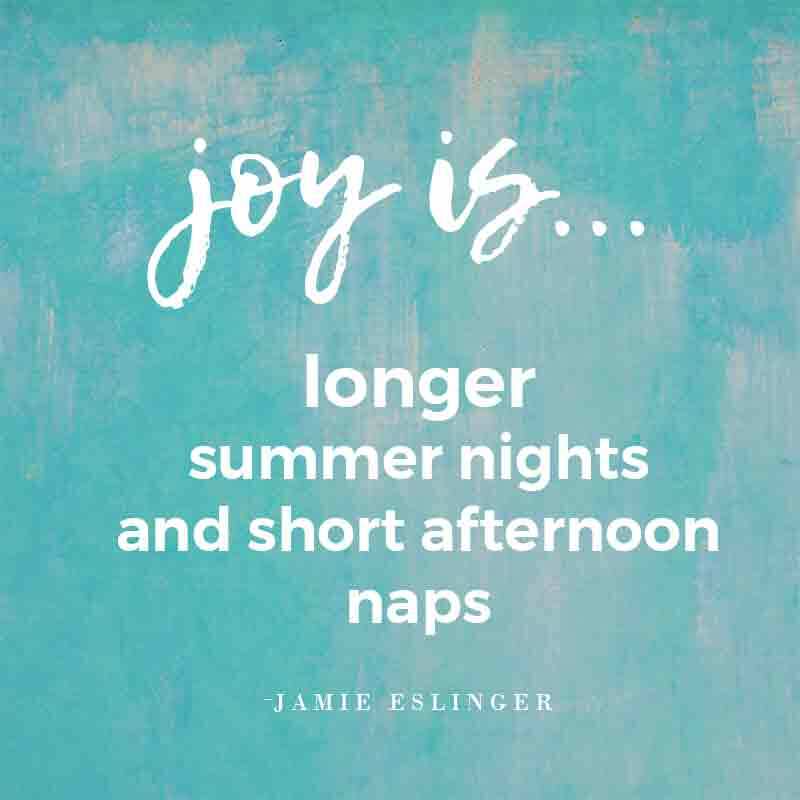 And shouldn’t joy be loud? I suppose there is a place for quiet joy, gentle revelry, and silent excitement. 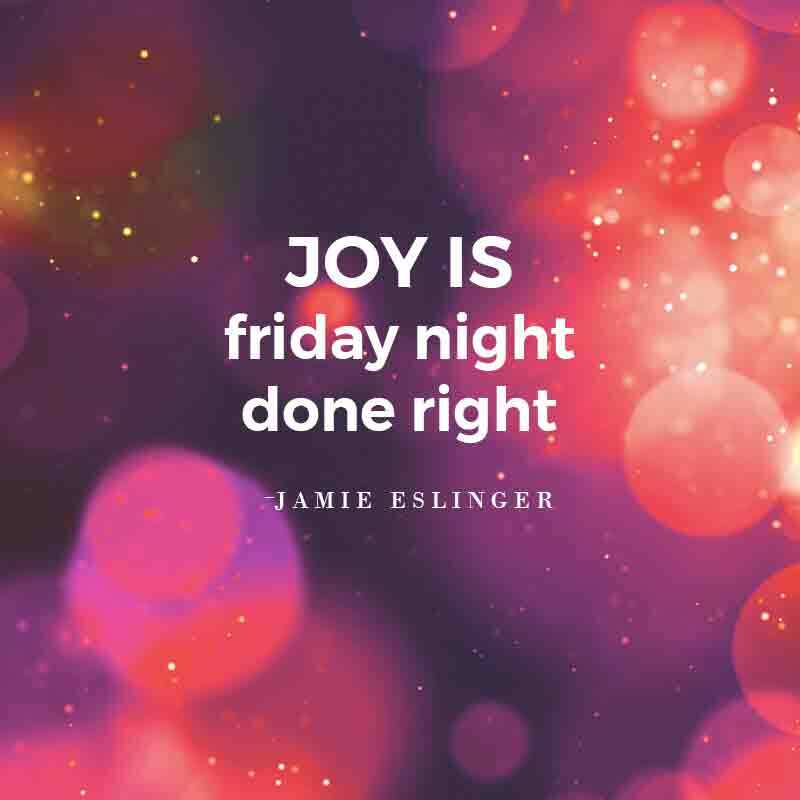 But the best part of joy should be big and bold and sometimes, very, very loud. 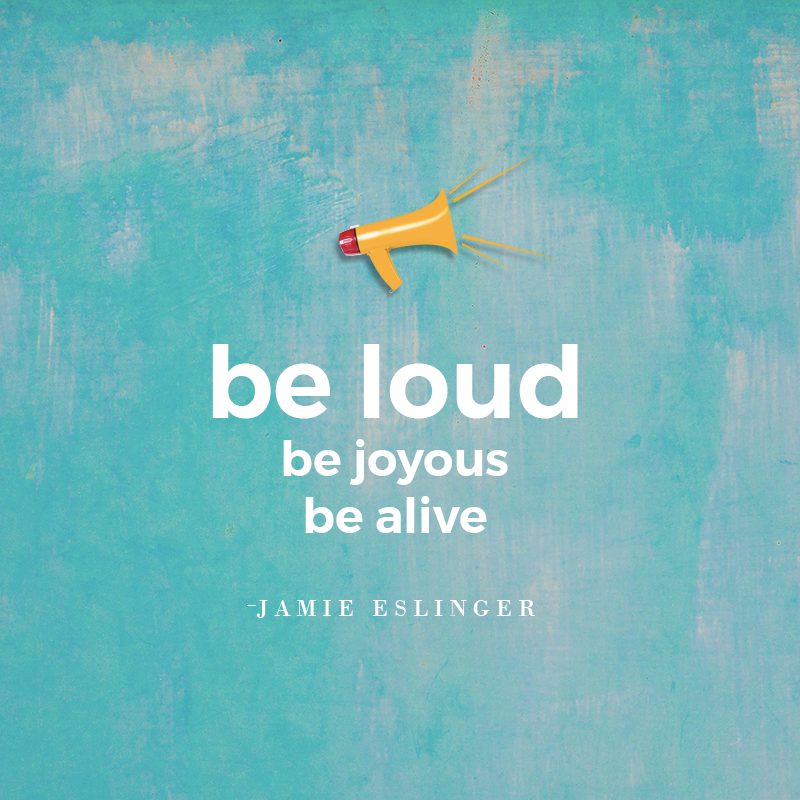 So go out there and be loud with your joy. If you don’t… who else will?